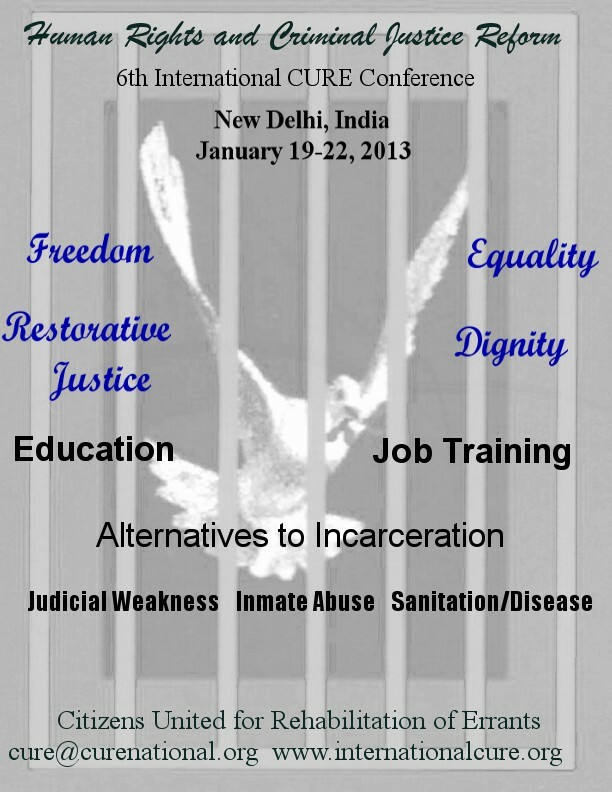 Folks, i look forward to attending this event in 2013 subject to donations i can got for my ticket to India. My organization does rehabilitation of prisoners in Denver Colorado. We operate two men homes and are permited to have only one felon on parole at a time. We could have more but have to go through a rigorous approval process. Right now i am leaving to go negotiate extention of boarding in a motel for a female felon just released from prison for manslaughter. I am hoping that they could let her stay for one week so as to properly situate her. Most apartments companies in my city are not felon friendly so they refuse to give apartments to them. Most companies would not hire them. What i wonder do they expect them to do other than go commit crimes to meet their basic needs which will land them back in prison. We must continue to advocate or these marginalized members of our community.